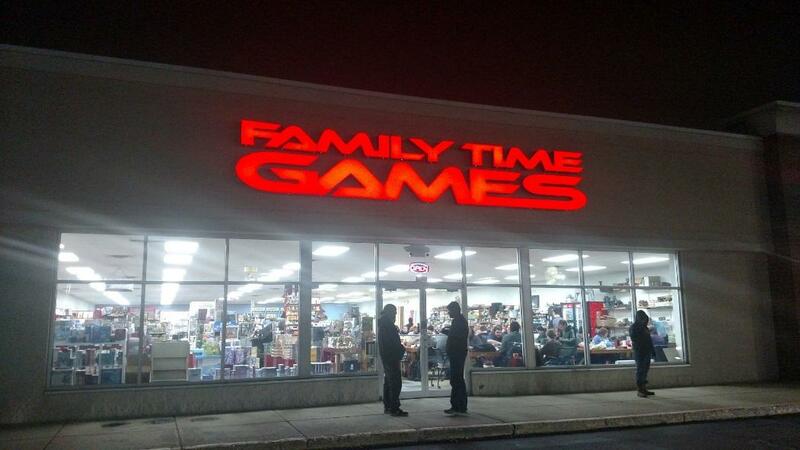 Family Time Games in Indianapolis volunteered their store to host the 2018 Masters. The store partnered with Able Kompanie to provide a warm and welcoming environment for our travelers. Shane seemed to be around at all times, talking and engaging with us and making sure everything was going well. 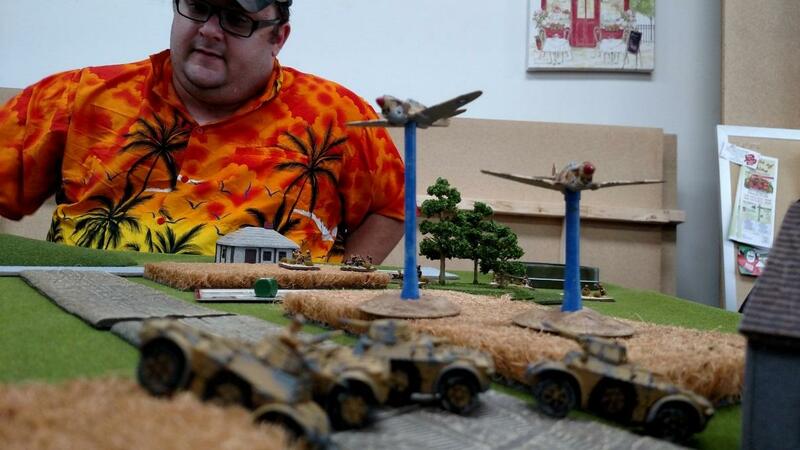 He did not have much to worry about, he had reserved not only the back nine tables for our event all weekend and also allowed a smaller local tournament of six tables to be run beside it on Saturday and a permanent demo table for Team Yankee, TANKS, and of course Flames Of War. We do truly appreciate his, his stores and his staffs generosity and time to make this one of the more enjoyable Masters players have attended. 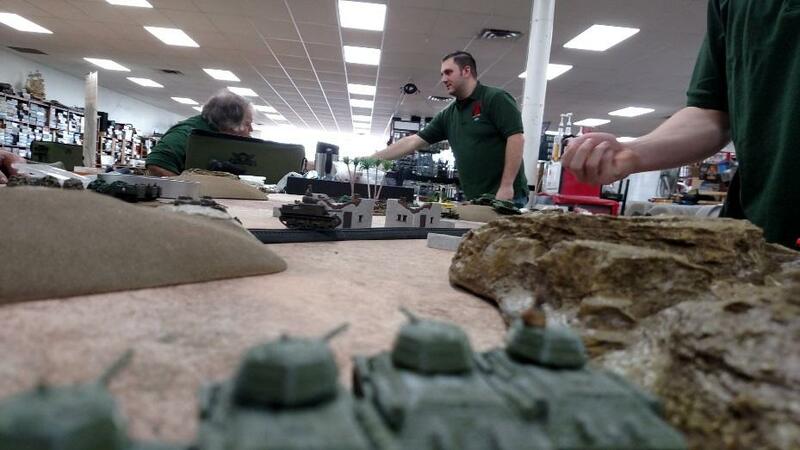 The format of the event was every player has made three armies, one at 62, 88 and 104 points. These armies must be of the same nationality but each must be unique from one another. 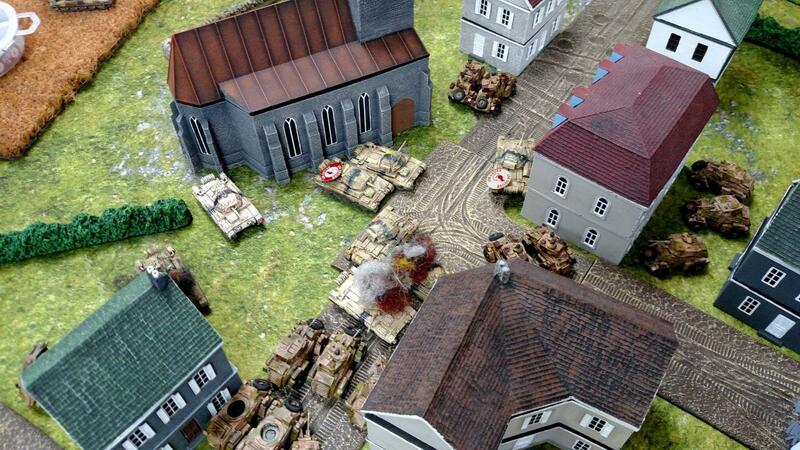 Multiple formations are allowed, but the same formation mix is not allowed in other armies. At the end of the previous round the Tournament organizer announces what point level the next round will be played at. 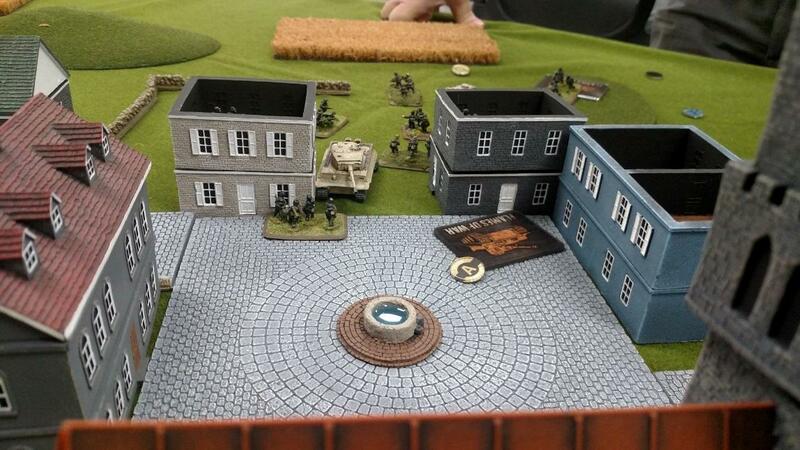 Once the players have been assigned tables, they will pick to Attack, Defend or Maneuver. Once all players have chosen, the T.O. rolls a die and the Battle Plans chart is consulted to see what mission is to be played. 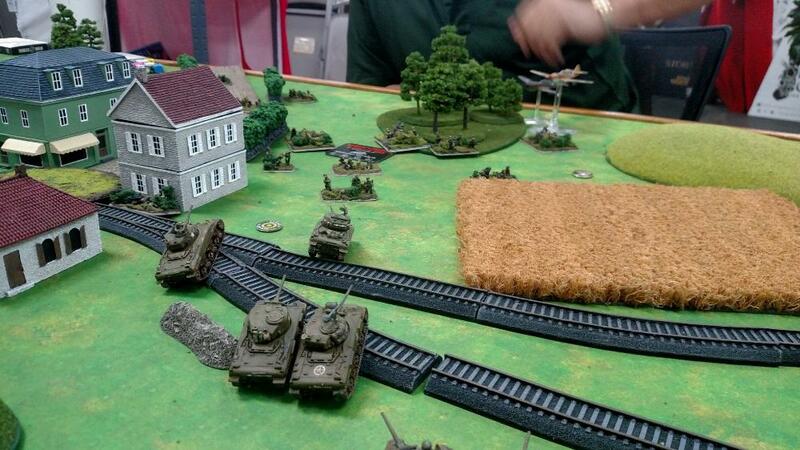 We have an almost even mix of sides with 8 Allied, 2 Soviet and 8 Axis armies on the field. 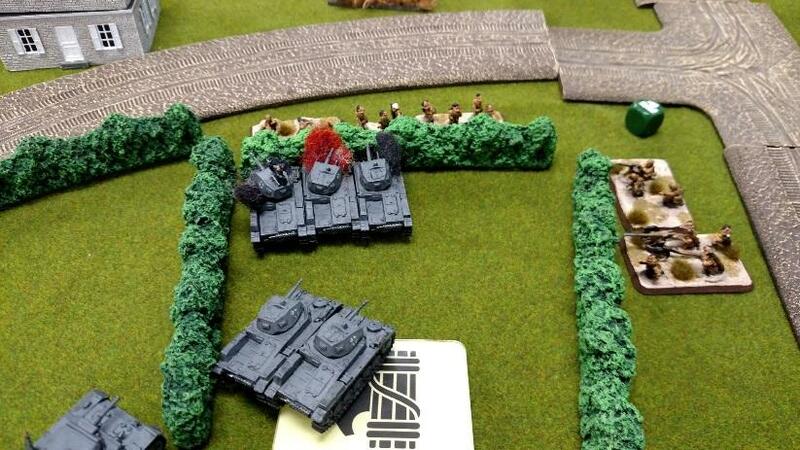 First round finishes: The round was run with the 104 point armies. Round 2 results: There is a lot of movement in the ranks as the players jockey for position, no single person is running away with the tournament, there are three in the top group, 6 in the middle and the rest coming along. As with any two day event, all your hard work of the first day can flow away on the second. 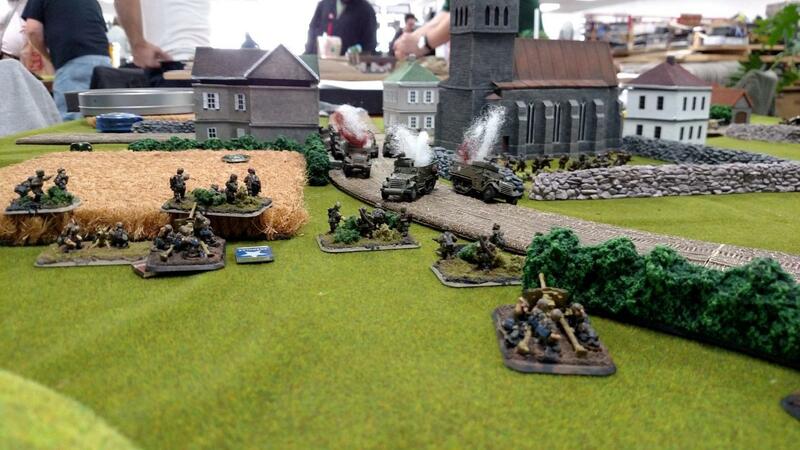 Third round will be with the 88 point army. Can James Copeland hamstring Ben Ivancza enough to pull him back into the frontrunner pack? Can Jace Pippen overcome Pete Zerphy and position himself in the top three? Can Chris Jackson overcome his first day trials and take the lead? We will see the answers after round 4, where the competitors will field their 88 point army. 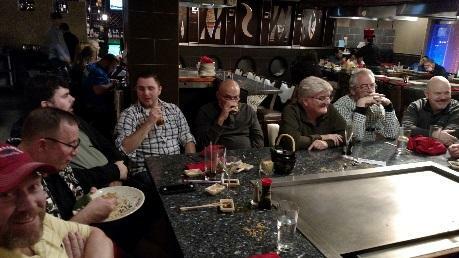 At our annual Masters dinner last night we shared stories, met new people and reconnected with distant friends. James Copeland did indeed hamstring Ben Ivancza 7-2 in an Encounter mission, they are still head and shoulders above the next in line so, according to straight swiss rules, there will be a re-match in round 5 at 104 points. Jace Pippen Won against Pete Zerphy’s Americans putting him solidly in a distant third place. Chris Johnson’s Italians overwhelmed Jim Bodine’s British allowing Chris to enter the top five, tied with Pete Zerphy. Chris Novak and Chris Fretts locked horns in an American No Retreat contest, neither gave much ground with a 3 – 3. Keith Gilmour was able to rout Richard Hurchaniks forces with an 8 – 1 victory. Jim McKinney and David Vigor tied each other up in an Encounter 2 – 2 tie. Joe Lewis fared slightly better than Kevin Morris in a 3 – 2 tie. 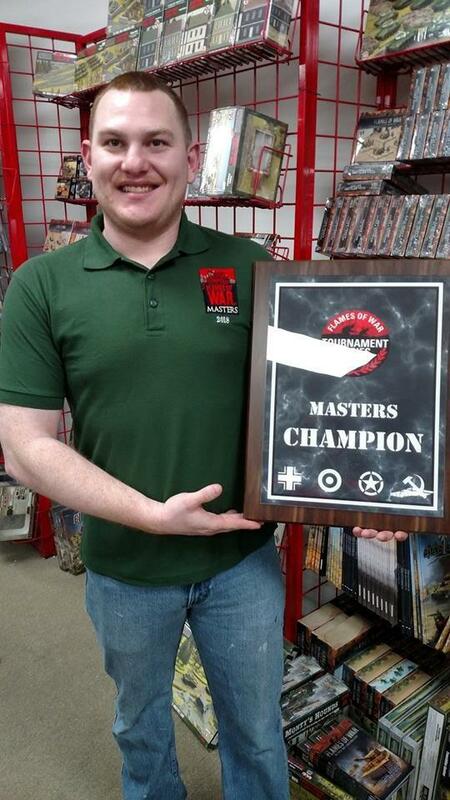 Congratulations to James Copeland for defeating all comers in the 2018 Masters. He vanquished the early front-runner twice and the returning champion twice, dominating the top slot for the second day’s rounds. Chris Fretts on Battle Rankings will be crunching the numbers for us and breaking down the percentages, so stay turned there and see the post-tournament analysis. 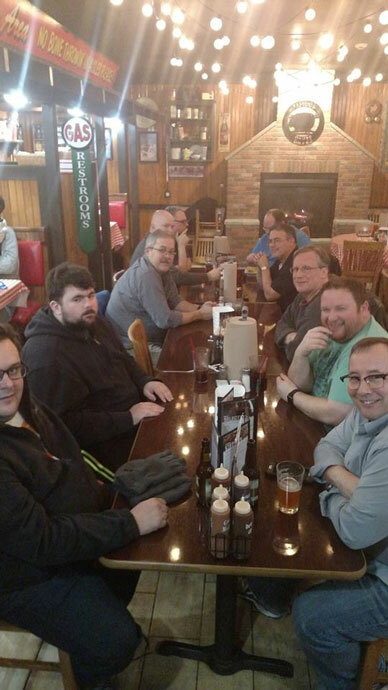 Masters is about more than a plaque and bragging rights, it is the drawing together of people who have devoted so much to this hobby. 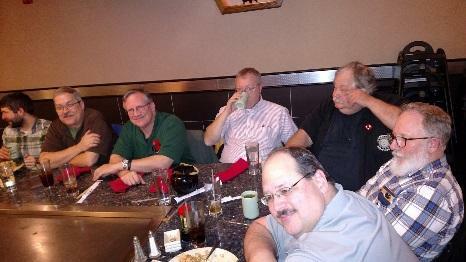 It is getting those people together from all over the continent and making new friends. 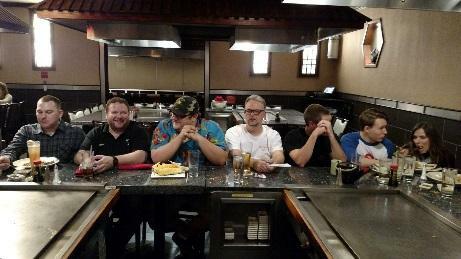 I myself met Jace Pippin for the first time and got to know Kevin Morris, Igor and Pete Zerphy better than I had in the past. I hope to see more of you on the tournament circuit and joining us at Masters in the near future.